I knew the expansion of the Convention Center meant the bus station's days were numbered, but no amount of notice prepares you to say goodbye to a familiar place. Only a small portion of the station’s main and lower levels remains standing. Most of the bays are gone, including the escalators that provided access. Passengers riding the buses that still go through the site can probably get an up-close look at the half-demolished station. A new bus rain shelter is now located on Ninth Avenue. 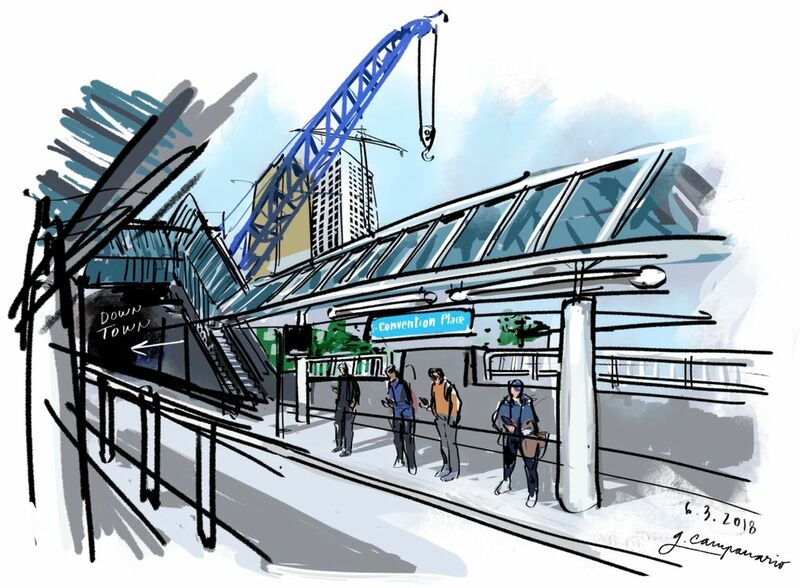 I knew the expansion of the Washington State Convention Center meant the days were numbered for the Convention Place Station, which opened in 1990, but no amount of notice prepares you to say goodbye to a familiar place. 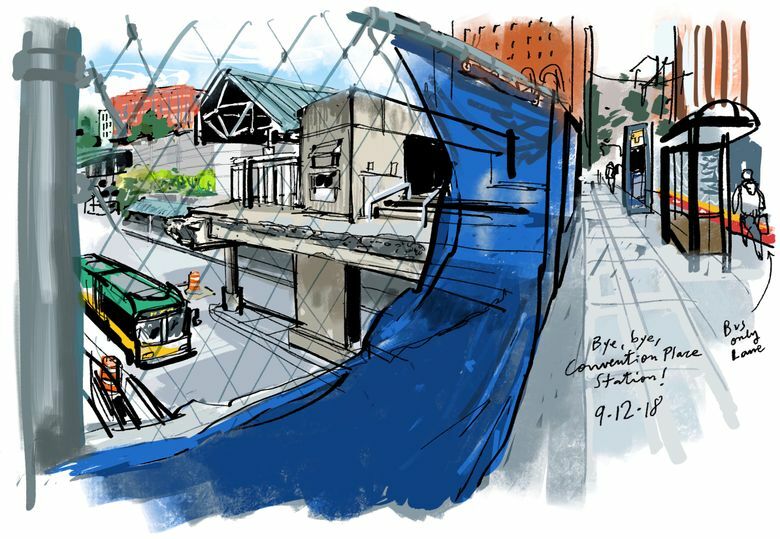 Back in early June, when the demolition cranes were starting to take position, I did another sketch before boarding a bus to Pioneer Square. I had a feeling it would be my last time at the station.